Softgel machines are plug and play rotary die machines capable of producing finished gelatin capsules containing fill material with precise accuracy. A Programmable Logic Controller (PLC) with touch-screen is used to control all production and process parameters. They are UL or CE certified, with FDA approved material contact parts, and they fulfill the GMP standards of the pharmaceutical industry. 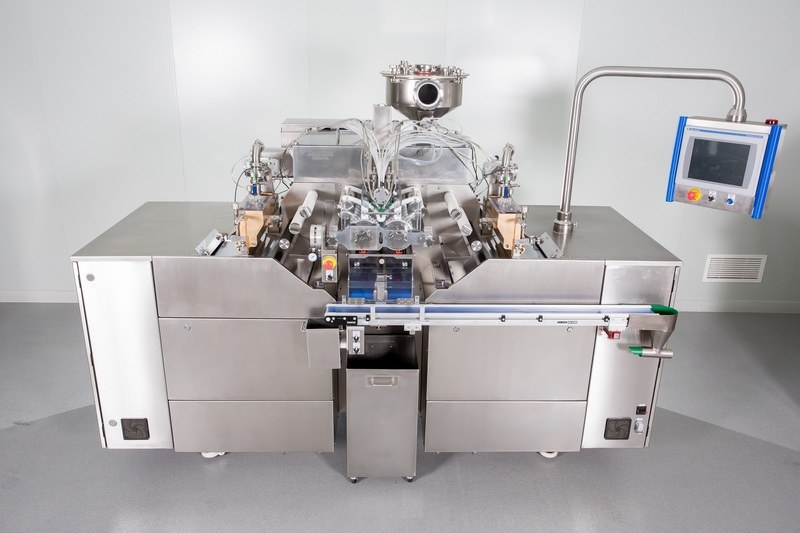 Multiple systems can be used to transfer the prepared fill material and gelatin mass to the machine. We offer a variety of models ranging from lab scale to the highest commercial scale. 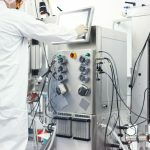 Laboratory scale soft gelatin machine with an operation speed of up to 3RPM, a single plunger medicine pump, and manually operated pneumatic valves. Laboratory scale soft gelatin machine with an operation speed of up to 3RPM, a double plunger medicine pump, and manually operated pneumatic valves. Soft gelatin capsule machine with an operation speed of up to 6RPM, a 12 plunger standard medicine pump, and electronic control of the pneumatic system. Soft gelatin capsule machine with a motion control system, an 18 plunger medicine pump standard, and an operation speed of up to 8 RPM. 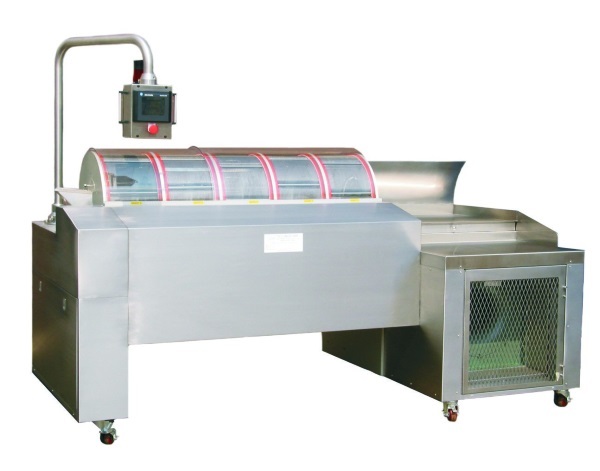 Soft gelatin capsule machine with a motion control system, a 20 plunger medicine pump standard, and productivity up to three times higher than the standard 4” x 6” die roll. Tumbler dryers are offered as a standalone unit or in combination with our encapsulation machines. They’re UL or CE certified, with FDA approved material contact parts, and they fulfil the GMP standards of the pharmaceutical industry. Variable speed, high frequency blower, automatic capsules transfer, built in gentle heating, and more production parameters are set using a Programmable Logic Controller with touch-screen. Light-weighted baskets allow for quick changeovers, easy clean up, and inspection. They are available in single and double deck configurations. The system is designed to support the operation of high productivity encapsulation machines. It dries non-hygroscopic oil fills in a continuous in-line process. The air needed for drying is efficiently prepared and controlled to be distributed through direct ducts. At the end of the drying cycle, the capsules are discharged ready for inspection, eliminating the need for drying trays and tunnels. 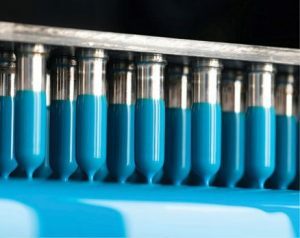 An automated continuous drying system consisting of two parallel rows of 12 drying units each, connected to a central line of air distribution units. The insulated tunnels are constructed from GMP materials and ready to be installed at the client’s site, customized to suit the existing room. The tunnels are sized to accept stacks of drying trays while exposed to the drying airflow. Air Handling Units are to be provided to enable air transit through the tunnels. The amount of dry air required is determined by the operating parameters. Drying tunnels made of self-supporting walls using standard wall panels in a composite construction of two external skins of painted steel sheets or high pressure plastic laminate. Technophar can supply standard and fully automated melters. Choose plug and play melters for lab scale. We have commercial size standard and automated melters including load cells, automated evacuation, temperature control, mixing, and PLC with recipe screen. 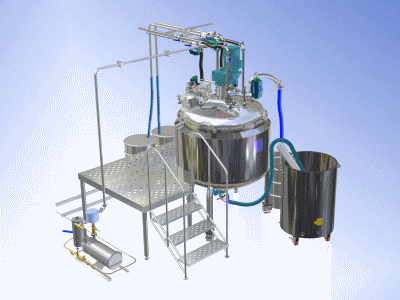 A wide variety of GMP/FDA standard tanks are offered as per Technophar design, constructed from stainless steel with capacity of 50 L to 400 L. Our selection includes tanks with a single wall or double wall with temperature control to maintain the prescribed temperature and gelatin pressurized tanks. The Capsules Polisher is a machine capable of operating in two modes: manual and automatic with a tumbler basket capacity of 120 kg. 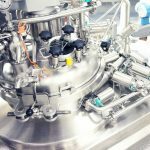 It’s fabricated from stainless steel and FDA approved material contact parts to fulfill the GMP standards of the pharmaceutical industry. The Capsules Polisher is portable, requires no special electrical connection, and is ideal for both pharmaceutical and nutraceutical products. For over three decades, Technophar has been producing the highest quality hard gelatin capsule machines. 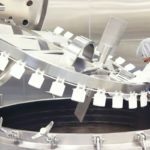 Today with more than 300 machines have been installed globally at some of the largest hard gelatin capsule manufacturers. Many of these projects were turnkey solutions. Technophar continues to supply third party empty hard gelatin capsule machines. Please CONTACT US today to inquire about the best technology on the market. Die rolls are available for all Technophar machines, as well as any other soft gel machine manufacturers. All the tooling is made in house using high-precision CNC machines and CMM measuring instruments for quality control. Smooth services free of any scratches make gelatin sticking impossible and provide easier release of the formed capsule. High corrosion resistance and excellent lasting durability is provided due to the use of the highest strength of Aircraft quality Aluminum. To Download our Die Roll Production Rates, please click here. Teflon coated wedges in brass or aluminum are available in all configurations and lengths and offer superior heat control. The medicine pump and components are constructed from D2 steel. The pistons are heat-treated and chromed for superior resistance to wear. The medicine pumps are available in a variety of Plunger configurations (Standard, Maxi, and Mini). Our selection includes variable ribbon widths to minimize gelatin usage. They are equipped with electronic level control and adjustable gates to control the ribbon thickness. All mechanical and electrical spare parts are available. Technophar and Qualicaps® are the world’s most innovative manufacturers of two-piece capsule band sealing equipment. Our commercially proven technology uses a double band seal for durability, protection, and visibility. The S-2 banding machine is the perfect addition to enhance capsule development options in the laboratory. Simulating the sealing process of a commercial scale S-40 or S-100 capsule band-sealing machine, the S-2 Bench-Top Capsule Band-Sealer is capable of sealing between 100 and 1,000 capsules per hour. Capsule band-sealing machine featuring newly designed top plates, new in-line plate positioning, and a simplified control panel for a higher capacity and faster sealing.